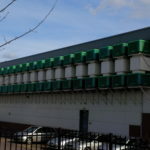 The WetBoxe evaporative cooler contain inbuilt evaporative cooling pads and should be used as part of a mechanical ventilation system or air handling solution with a paired supply and extract fan. 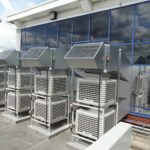 They are designed to be externally mounted and the standard configuration is down flow, where air is supplied from the base of the cooler into the area that requires cooling. 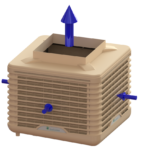 An input is available to enable and disable cooling in the evaporative cooler. An output is offered to communicate the state of the cooler. 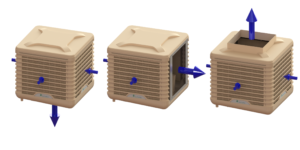 Cooling Mode: In cooling mode, the water circulation system is in operation and the cooling pads are wetted. 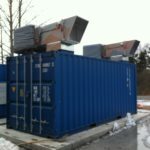 Air is pulled over the pads by an external supply fan into the building. 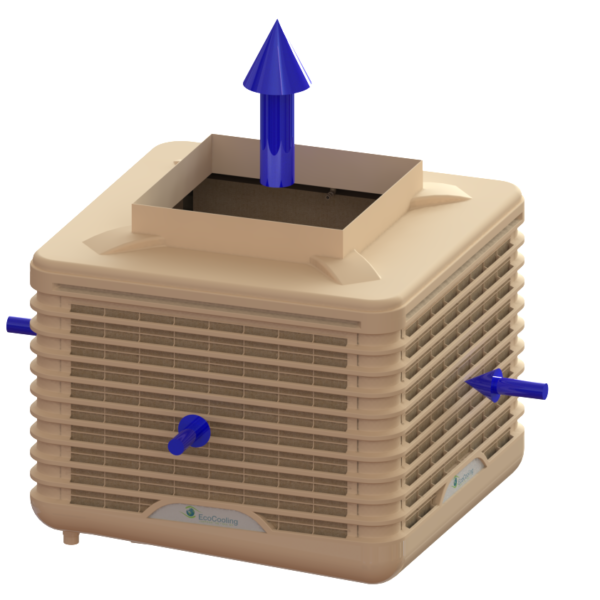 The evaporation of water from the pads results in a reduction in air temperature. 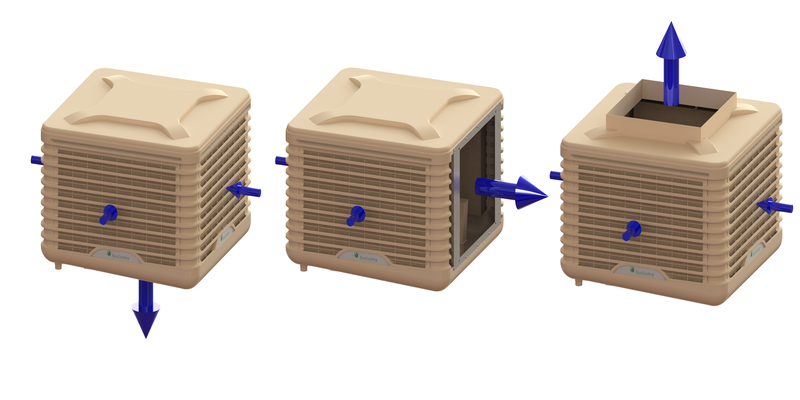 EcoCooling WetBoxes are also available in a larger size (up to 18,000m3/hr), please see the EcoCooling WetBox Large product page for more details. 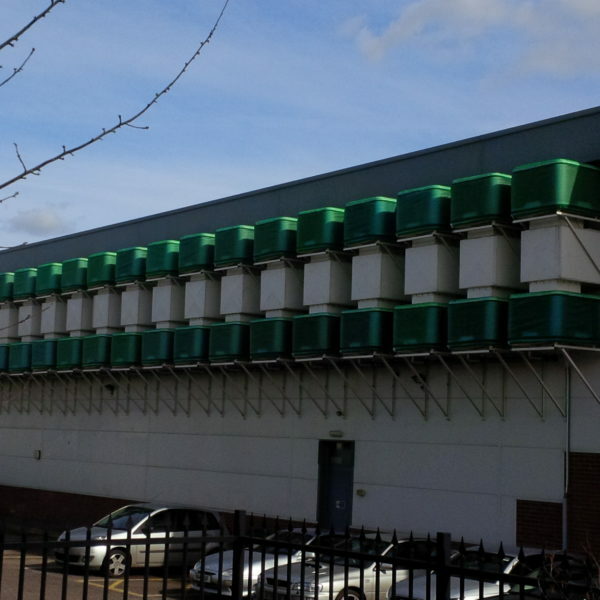 Alternatively, if you are looking at an installation where there is no outside plant space, call our installations team for advice about plant rooms or have a look at our ECT product ranges. The external WetBox range is ideal for data centre and air handling installations or IT environments which require closer temperature control. 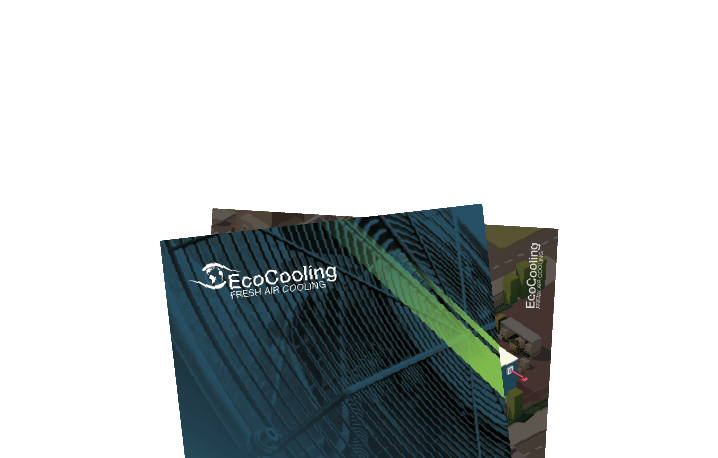 If you are looking for an active system (with an inbuilt fan) for industrial or warehouse cooling please see our EcoCooler product page.